So most people will ask when is the last date you can buy a stock and also enjoy the dividend that comes with it? Usually the dividend announcement comes with 3 dates. See example below on the recent dividend payout by L&G (Land & General) , a property developer that for the 1st time in many years (after successfully business turnaround) started to distribute dividends to shareholder. Single Tier Final Dividend of 2.0 sen per ordinary share of RM0.20 each. AND to get the dividend, you must buy/hold the stock until the last trading hour of the day before the ex-dividend. Example, if i buy the stock on 22 Sept 2014 at 4.59.59pm, I still able to get the dividend. And on the Ex-Date itself, 23 September I can start selling the stock and STILL get the dividend. It is very easy and common sense also to determine the expected opening value of the stock price after the Ex-date. For this example, L&G price closed at RM0.66 on 22 September. And the opening price on Ex-date aka 23 September will be RM0.66 - RM0.02 (dividend payout) = RM0.64. Simple right? This is just a formality. It not important to determine when is the last date you must buy/hold a stock to ensure you get the dividend. This is the date that the dividend or $$$ will be paid to you. 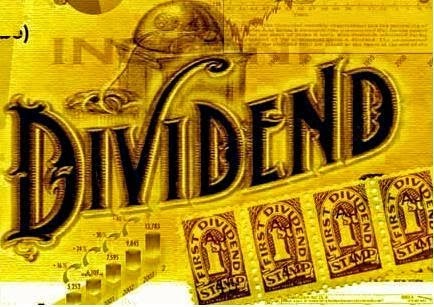 You get the dividend in terms of a cheque (used to be in the past) or directly banked into your stock trading account. My broker help me setup everything for my latest trading account. See here for the Edividend details. And because the dividend is single-tiered (as most dividends do now), the dividend attributed to shareholder (aka me in this case) is not taxable. This simplifies things, as I no longer need to claim back the dividend taxes thru income tax filing. In L&G's case, for every 1000 unit of share, you will get 1000 x 0.02 = RM20 of dividend. There are reasons why I opened a new trading account. Maybe I will explain in the next coming posts.